Part Used & Method for Pharmaceutical Preparations: The rhizomes are dug in summer and autumn. After the fibrous roots have been removed, the rhizomes are dried in the sun or steamed, and cut into pieces. Indications & Combinations: Dry cough with scanty sputum due to lung yin deficiency or thirst and intense hunger due to stomach yin deficiency. 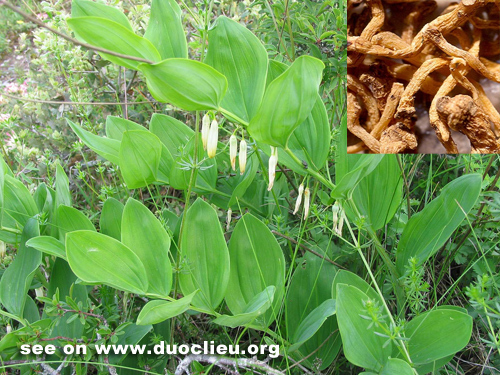 Fragrant solomonseal rhizome (Yuzhu) is used with Glehnia root (Shashen), Ophiopogon root (Maidong) and Asparagus root (Tianmendong). Cautions & Contraindications: This herb is contraindicated in cases with deficient spleen or phlegm-damp.